This land with rolling hills and fertile soil in the valleys will be situated closer to the new equator after the pole shift, and being inland from the coasts, it will not experience tidal waves. However, as Montana, is straddling the continental divide, it will experience a wide variety of earth changes during the coming crust shift. The continental divide represents the point where earth has been pushed, during past crashing and pushing together of the plates. It could be considered the bruising edge, the point where new pushing will occur. All land and mountains to the west of this point will be under pressure to move east, and this is where most of the action will occur. What lies west of the continental divide has substance, as it has resisted previous pushing, and is not likely to crumble. What lies east of the continental divide has, until now, been relatively untouched, and in this equation will most likely be the place that will give in any land push confrontation. What occurs when an overriding plate moves across or pushes against an underlying plate depends primarily on what the underlying plate presents. If the land is fairly flat, the overriding plate will go for a ride, with anything on the underlying plate scraped along or crushed underneath. If the land is hilly or mountainous itself, the hills and mountains will be compressed and crumpled, creating a situation where rocks and earth are flying about, tumbling and spewing. We would advise anyone living just east of the continental divide to move inland until the shift is past, and then return to their homestead, due to the unpredictability of what may occur. Montana is stable ground but the Continental Divide will push to the east for some 50-60 miles during the pole shift. For northern Montana, this is flat land which will rumple so that the surface is pushed, as though by a bull-dozer in front of the moving mountain mass to the west, which will be relatively stable though go for a bumpy ride. 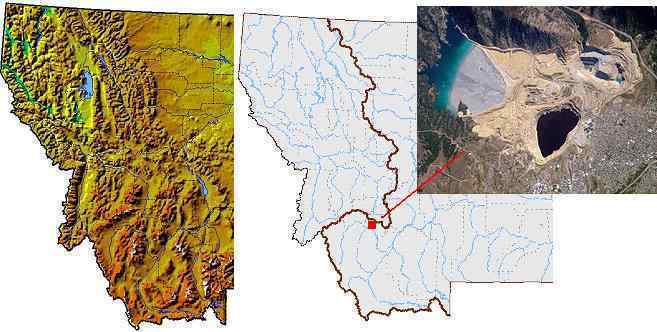 Southern Montana will find land to the east of the Continental Divide rumpling, compressing, to that mountain ranges grow higher and valleys narrow. Certainly, the Berkeley Pit, being in this vicinity, will be subjected to pressure. This is likely to squirt into the air, but not do more than affect the immediate area. However, any surface water source draining from this area, or underground water from this area, should be considered contaminated for decades. Go above this elevation for drinking water, and post signs. As with the lands of southern Canada, Montana will be much more desirable as a place to live after the pole shift than at present. Currently isolated and with very cold, long winters, Montana does not have the appeal of the sun belt or the coastal states which have access to beaches and have more moderate seasons. But after the pole shift, these lands will shift to have a climate more akin to the current sun belt of the US, with rich soil and good drainage. 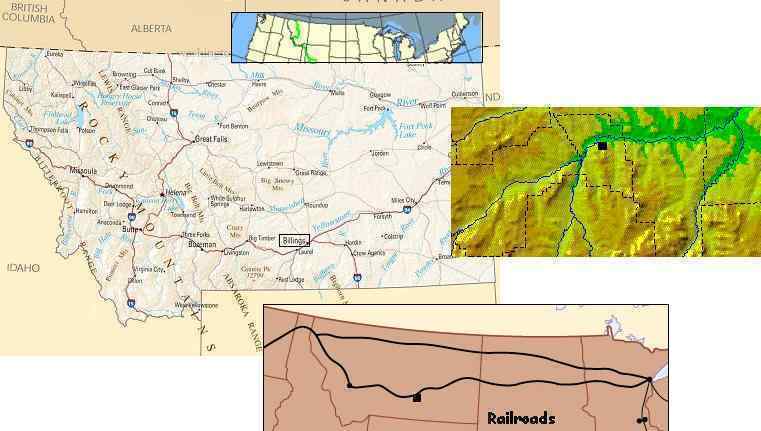 The roads through the mountains west of the Continental Divide, and lands some 60 miles to the east of the Continental Divide will be torn up and unusable, but the eastern portion of Montana may find its roads repairable. This will support migration, especially for cities such as Billings which are criss-crossed with railroad, highways, and river transportation. Expect to be a hub. Note Bakkan Oil Fileds commentary.